Nowadays going online is the most efficient way to grow your business. But how to get online in a professional and easy way? 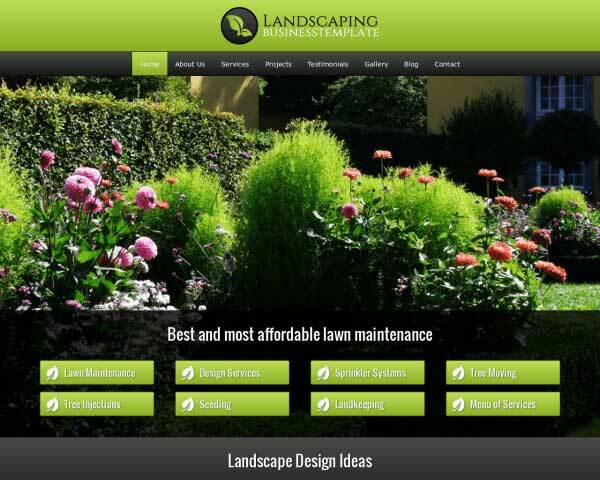 Our Lawn care WordPress theme will help you get there. 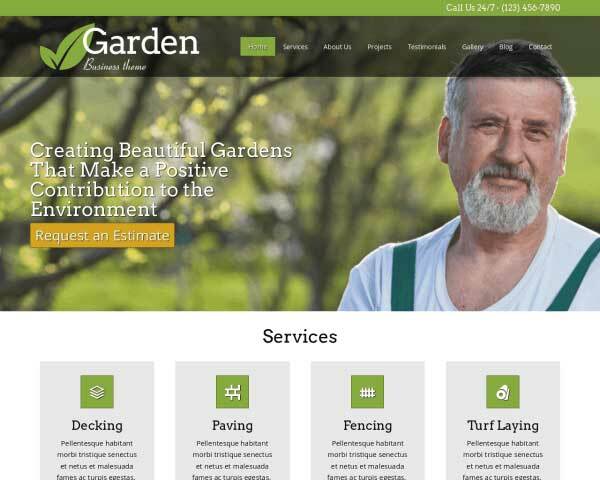 This Lawn care WordPress theme was designed from the ground up. The theme is focused specifically on the needs of people operating in the lawn care industry. 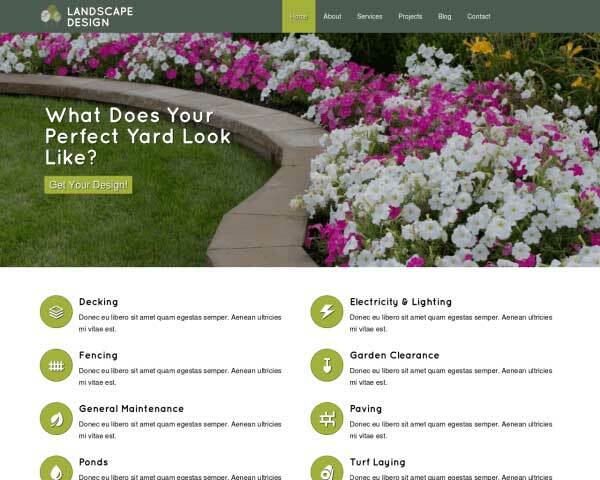 When developing the site we asked ourselves the question; what does it take to make the best website for Lawn care professionals? 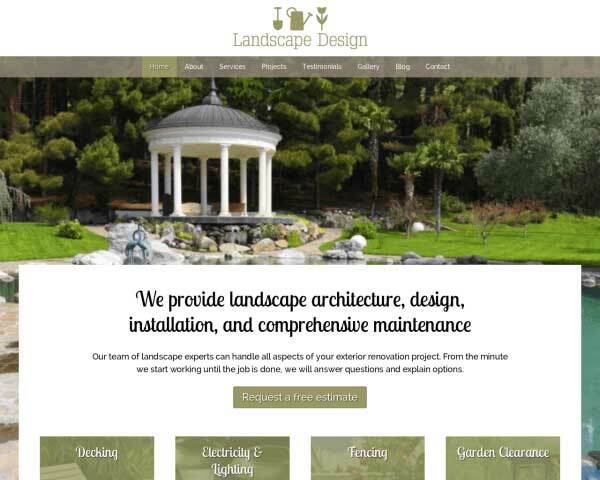 We first did some intensive research on existing sites and came up with a set of required business featured. In the section below you can find the most prominent business features we've added in the theme to help you get online in a professional way from both a business, design and marketing perspective. 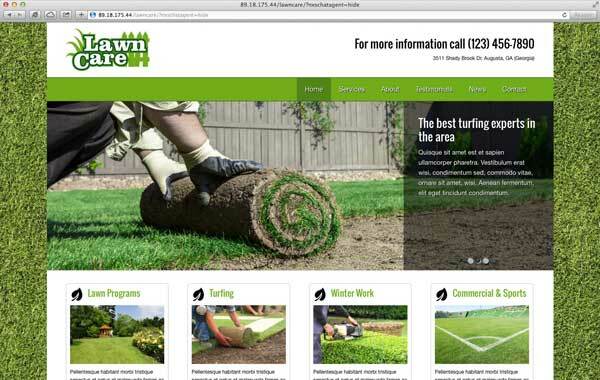 Like all of our themes, this Lawn Care WordPress Theme comes with a blog all set up and ready for your content. Individual services each have their separate page. With a whole slew of page layout, video and image gallery options, you can showcase your knowledge about the industry. 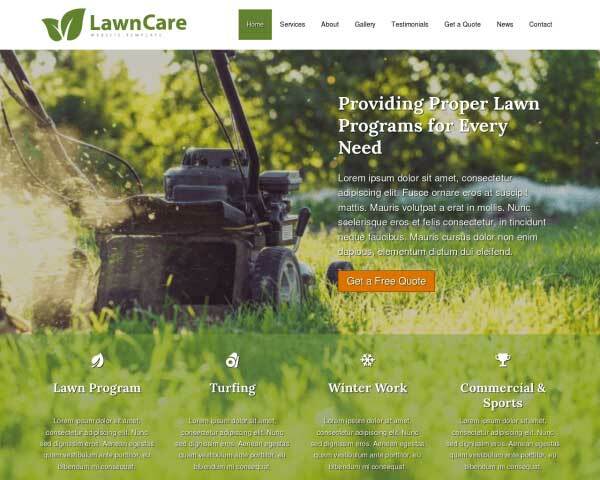 With the Lawn Care WordPress Theme, your visitors will be treated to a comprehensive and easy-to-navigate website, but they'll never have to search for a way to contact you with a call to action located on every page. 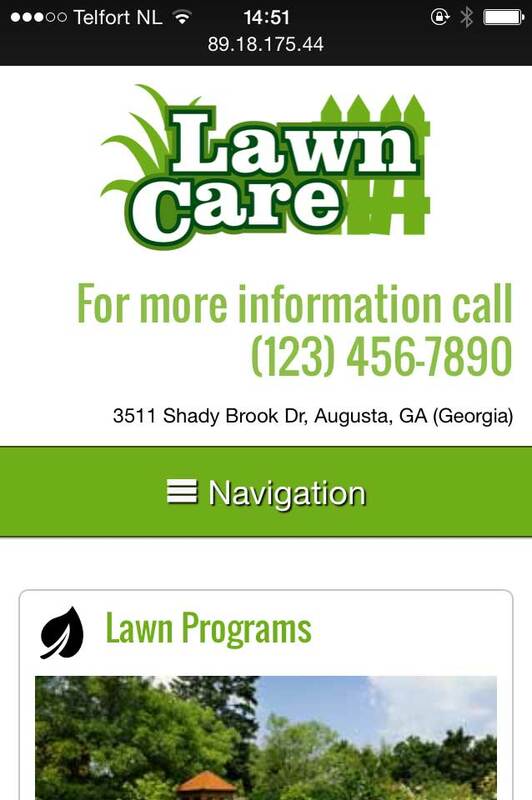 The Contact page of this Lawn Care WordPress Theme goes above and beyond with an integrated Google map, route planner and a customizable contact form. 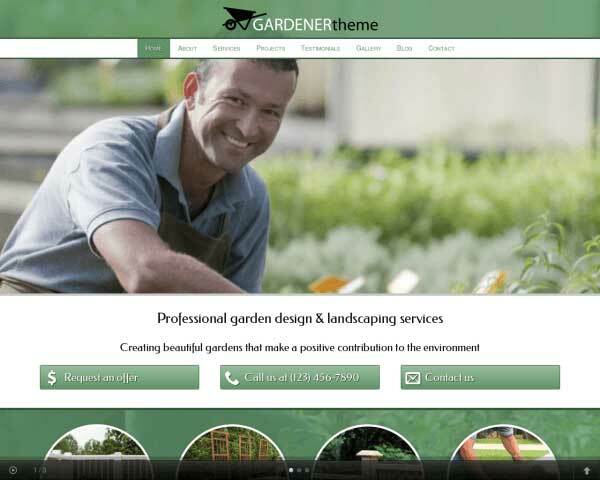 This Lawn Care WordPress Theme designed specifically for garden specialists. It includes all likely features your business needs and ensures you are up and running in no-time. No extra plugins are required to integrate your website with popular social media platforms. 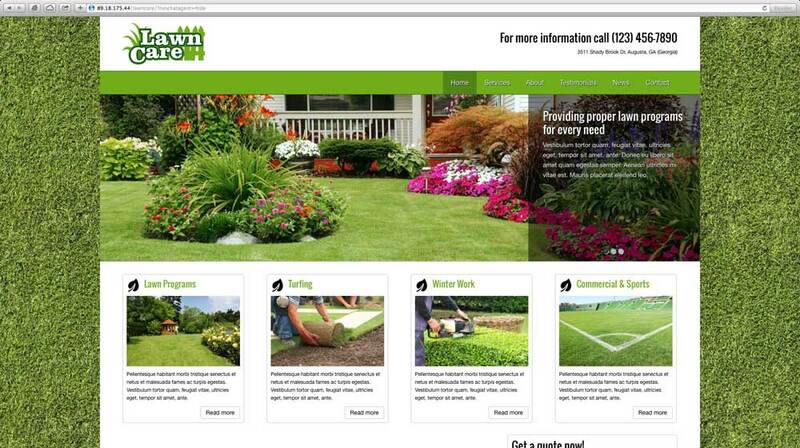 The Lawn Care WordPress Theme allows you to display icons, a Twitter feed, Facebook like wall or a Flickr gallery. 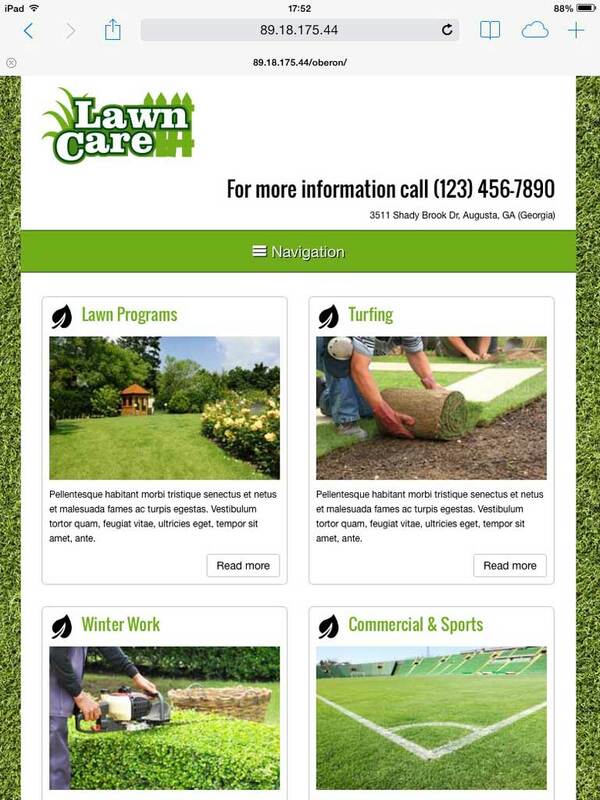 On the homepage of the Lawn Care WordPress Theme, visitors will get an overview of your services in one glance. Clicking on a thumbnail goes directly to that service page. 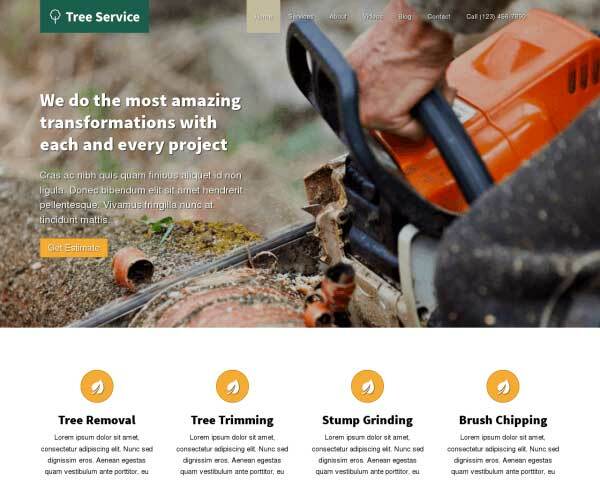 Convert more visitors into clients when you share some of your best reviews from satisfied customers on the Testimonials page included in the Lawn Care WordPress Theme. 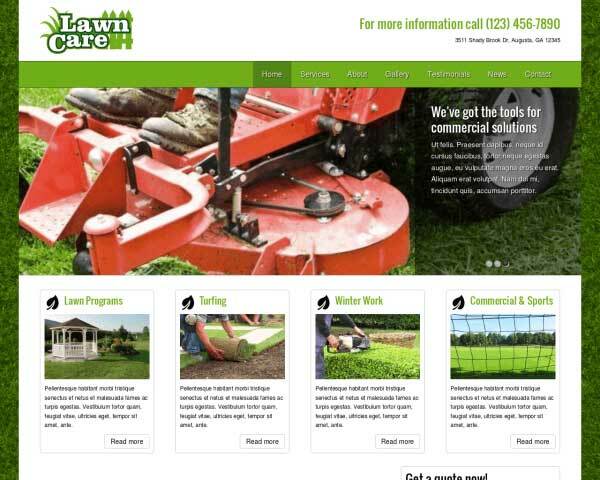 The Lawn Care WordPress theme is one of the finest themes available for people in the lawn care industry. By using the theme you can be rest assured you have one of the top themes available that is ready for the upcoming years. One important feature we've implemented to accomplish this, is the responsive design that is integrated. This responsive design ensures that the design of the theme is optimized automatically no matter of what device you are using to browse the site. This way can will give your visitors the best user experience possible and increases the chances of people signing up for your services and increasing your sales.